Martyn Collins Digital and Social Media Marketing Services: Disabled people use Social Media too! Disabled people use Social Media too! Research shows that businesses that have mainstreamed access – whether their infrastructure, staff training or marketing, whether for families, the elderly or the disabled - deliver better customer service than those that have not. At its most simple, for example, an accessible website is picked up quicker by the search engines, so giving you an immediate marketing advantage. Plus there is the usual business case argument – it’s a huge market. In the UK over £2bn is spent on domestic tourism every year by disabled travellers, and their families and friends. A new consortium of accessibility specialists have come together to launch Access New Business. It’s aiming to be a bit different from most access consultancies. It takes as its starting point that access can be mainstreamed into your everyday business operations, and should not be treated as any sort of niche. The website contains some useful info. Scandic Hotels, for example, are a leader in Europe. The chain takes the view that good accessibility equals happiness: because everyone, of whatever age or ability, knows what they are getting before they arrive and what to expect when staying. The great thing about improving accessibility is that it does not cost a fortune – simple but smart solutions and a welcoming smile do the job at the outset. 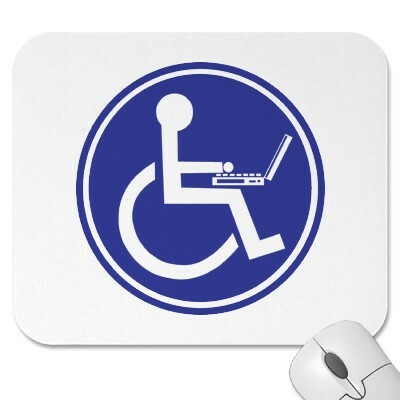 But, as the team at Access New Business point out, make sure that you publicize your accessibility! Many business still are afraid, it appears, of offending disabled people, so don’t actually shout about their achievements. And disabled people are huge users of social media so there are lots of cost effective ways of doing it.